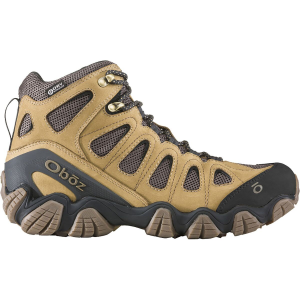 Just as comfortable thru-hiking the PCT as it is exploring the basic trails in your local park, the versatile Oboz Men's Sawtooth Mid B-Dry Hiking Boot ensures a natural rolling motion on flat, smooth trails, as well as waterproof, breathable protection and a lugged, high-friction outsole for when the forecast promises heavy rains and sloppy trails. 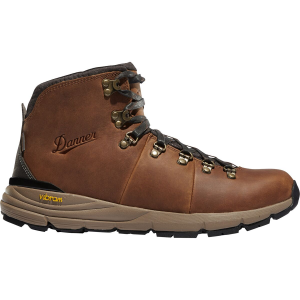 The nubuck leather upper is equipped with a B-Dry membrane to ensure that you'll be dry (get it') when splashing through puddles or crossing babbling brooks, while a mesh, moisture-wicking lining keeps things breathable and sweat-free. The O-Lite insole combines low-density EVA pods with a high-density EVA sculpted arch to place your foot in a neutral position with cushioned comfort to handle endlessly rocky trails with stability. 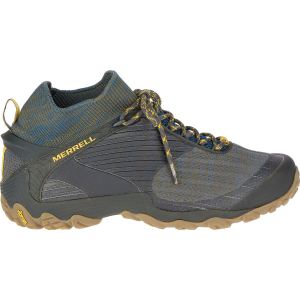 A nylon shank further adds to the stability to take on steeper slopes and uneven ground, while a 3D heel cup provides support and improves natural cushioning to keep you going through the last few miles. 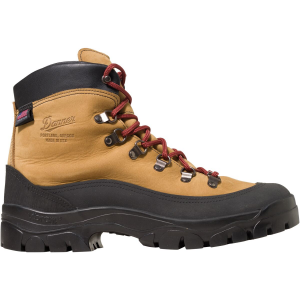 Rounding things out, the Sawtooth rubber outsole has toothy sidewall lugs to bite muddy terrain with traction while still conserving weight.